This course is the second of a 3 part foundation in ArcGIS Desktop (version 10.x). The ArcGIS 2 course expands on the subjects covered in the ArcGIS 1 – Fundamentals of ArcGIS 10.x for Desktop course and introduces new functions. These include managing data in a geodatabase, enhanced symbology and labelling options and the use of analysis tools. The creation of map books and publishing a map to ArcGIS Online are also covered. You will be provided with the data and exercises so that after the course you can work through them again in your own time. Please note that this course is for users of ArcMap. 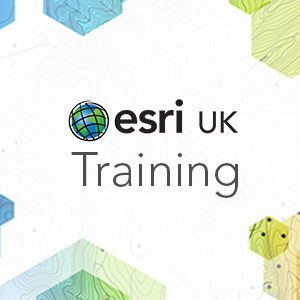 If you are using ArcGIS Pro please see our ArcGIS Pro courses. Use the different views of the table of contents (list, source, selection). Select features using select by rectangle and select by attribute. Display your data using text values and numeric values. Create a new file geodatabase and a new feature class. Start an edit session and use the Create Features window to create a simple feature. Create an A3 landscape layout page with surround information. Create an online map using ArcGIS.com. Confidently produce data and maps with higher levels of presentation and quality. Manipulate and analyse your data using standard analysis tools. Output results as map books or online content.